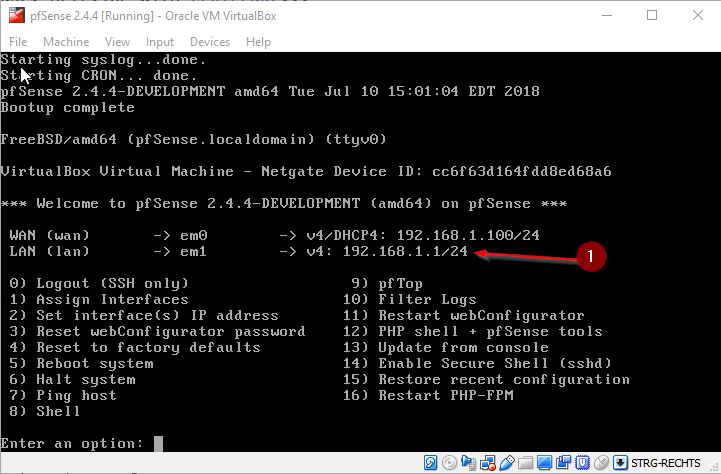 You are here:Home » Tutorials » pfSense » How to install pfSense 2.4.4 – Beginner friendly! 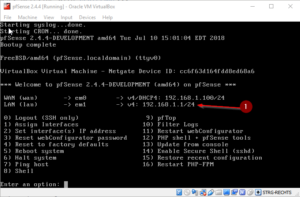 How to install pfSense 2.4.4 – Beginner friendly! In this article, we will install pfSense 2.4.4 and take a look at some of the new features of version 2.4.4! I will keep this tutorial as beginner friendly as possible. As of writing this article, pfSense 2.4.4 is still in development, yet, I always like to take a look at what changed compared to the previous version, especially in the installation routine. Usually, there are some minor changes, so I want to keep those tutorials on how to install pfSense 2.4.4 as up to date as possible. Let us take a look at the changes of pfSense 2.4.4 first. Let’s take a look at the most significant new features only. For a full list of features and fixes check the official Netgate documentation. I guess the most notable changes are the removal of 32-bit and NanoBSD support. There are a lot of bugfixes in this release tho. 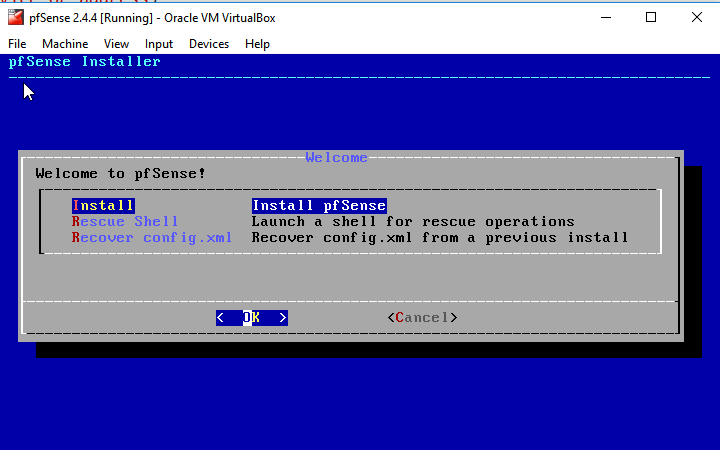 As usual, we are going to use our old buddy VirtualBox to install pfSense 2.4.4. Of course, we don’t want to mess up our live system with a Pre-Release. 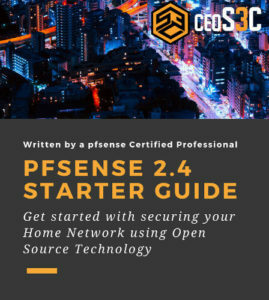 To download and install pfSense 2.4.4 development release before the official one is released go here and choose pfSense-CE-memstick-2.4.4-DEVELOPMENT-amd64-latest.img – Always make sure you download the one with the tag latest. Once the live version is available, you can download it normally here. Make sure to download the CD Image (ISO) file. When you finished downloading, right-click the file and select Extract Here. You eventually need a tool like 7zip to unzip the .tar.gz file. ONLY IF you want to install the DEVELOPMENT release – LIVE VERSION continue with Step 2 – you need to rename the file after extracting it. When you unzip it, it has the .IMG extension. You can’t use that in VirtualBox. Simply rename it to .ISO like so: pfSense-CE-memstick-2.4.4-DEVELOPMENT-amd64-latest.iso – to do that, just right-click the file and select rename. 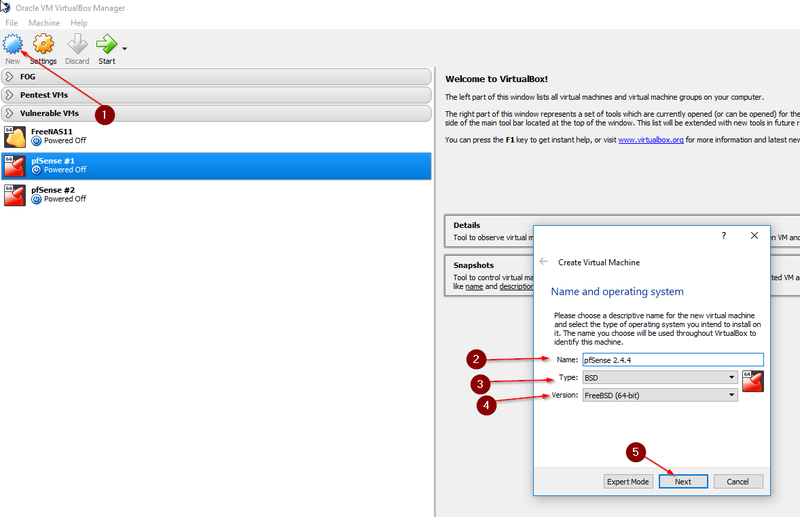 Start VirtualBox and click New. Select everything as in the image below. 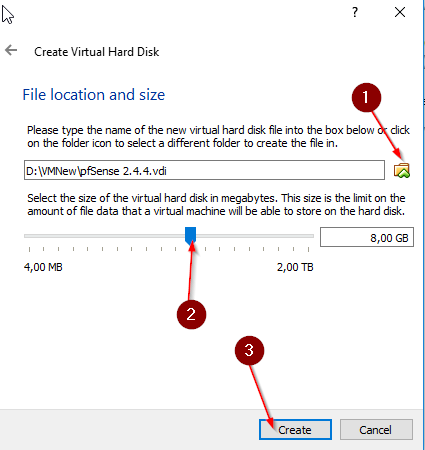 For File Location and Size, choose like 8GB and choose a location where you want to save the Virtual Hard Disk. Now we are going to assign 2 more Network interfaces. Just so we have a more realistic VM and more interfaces to play with. Right-click your just created VM and select Settings. Navigate to the Network Tab and first change NAT to Internal Network, so that pfSense DHCP Server doesn’t interfere with your own Network. Note that with Internal Network, you can’t access pfSense Web Interface from your Host Computer. 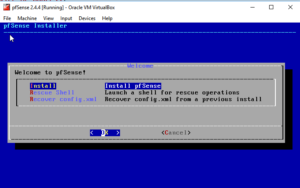 You would need another Virtual Machine (like Ubuntu) to access pfSense. This is the safest way to play around without breaking anything on your physical network. If you must or want access pfSense from your Host Computer, set the interfaces to “Host-Only adapter”. When this is done, select Adapter 2, check Enable Network Adapter and also choose Internal Network. Repeat this step with Adapter 3 and click on OK.
Alright, now we can run through the installation process. In the Copyright and distribution notice screen hit enter to accept. Next, select a Keymap that suits you best, find it and hit Enter. After that, select Continue with YourKeyMap keymap on the top of the screen and hit enter. For Partitioning, select Auto (UFS). And now the installer is already doing its job. Once the process is finished, choose No for Manual Configuration and hit Enter. Confirm to reboot by hitting enter again. Now we need to remove the image, otherwise, pfSense will boot in the installation routine again. So after you confirmed to reboot, select Devices -> Optical Drives from your Virtual Machine Menu and select Remove disk from virtual drive. Confirm with Force Unmount. 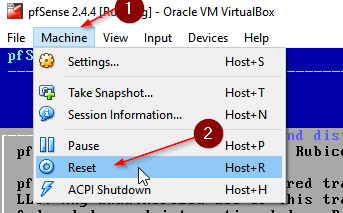 Finally, select Machine -> Reset to reboot once more. Now, pfSense will boot up in your new installation. The first boot takes a while as pfSense is trying to automatically adjust your interfaces. Once done, you will see the pfSense menu and also the IP where you can access your newly installed firewall. 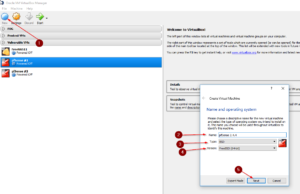 Now be aware: To access the web interface, you have to have another Virtual Machine in your “Internal Network”. From there you can access pfSense by entering 192.168.1.1 into your browser. Then you run through the initial configuration wizard to finish up your configuration, the configuration wizard didn’t change from the previous release. If you need guiding through it, check out this tutorial. Look up further tutorials in the pfSense category. 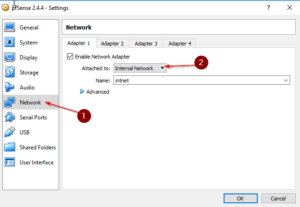 If you want to have internet access to play around with your pfSense VM, simply set Adapter 1 (or which Adapter represents your WAN Interface) to Bridged Network. pfSense will automatically get Internet Access from your Networks DHCP server. This should give you enough guidance to get started.